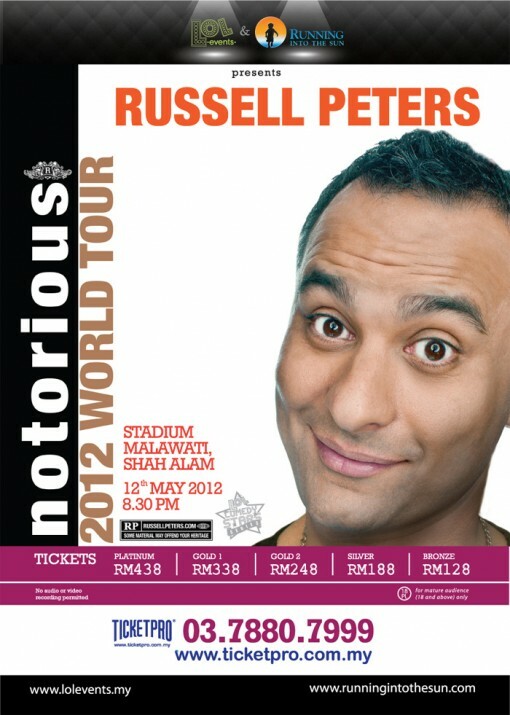 Canada’s biggest comedy export, global comedy rockstar, RUSSELL PETERS comes to Malaysia for the first time ever, with ALL NEW MATERIAL as part of his NOTORIOUS WORLD TOUR. Peters has spent the last three years setting attendance records around the globe; in 2008, he had the largest comedy show in UK history at London’s O2 Arena with 16,000 fans in attendance. He repeated that same feat in 2010 at Sydney, Australia’s Acer Arena, where he had the largest comedy show in Australian history with over 13,000 fans in attendance. In March of this year, Peters became the fastest selling concert in Dubai history. 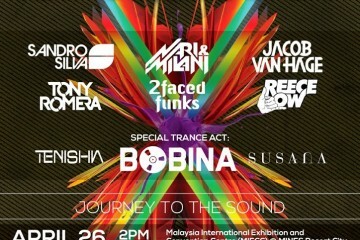 His two shows in Dubai sold-out in eight minutes – faster than Madonna.